Silent Gliss is the leading global supplier of premium interior window treatment systems. 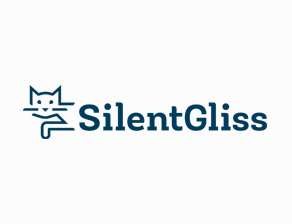 The success story of Silent Gliss products began at the beginning of the 1950’s with the ingenious idea of Swiss engineer Alexander Weber to combine nylon gliders with aluminum track to make the world’s first silent curtain track. The invention has attracted attention worldwide, and the patent has been recognized as a standard by the industry. Nowadays, there are subsidiaries allocated in 30 countries and regions. Silent Gliss China is wholly owned by Silent Gliss International Ltd., Relying on the group’s products and technical strength, Silent Gliss had actively participated in the the Chinese market. The five star hotel and hi-end apartment projects had been involved as following: Bvlgari Hotel & Residences, Beijing; Jian Ye Li Capella Luxary Hotel & Residences Shanghai; The Temple House, Chengdu; Capital Residences by Amani Casa Beijing; The Middle House, Shanghai, etc. Silent Gliss had been designated used by the flag shop of Hermes, Rolex, Omega.